Looking young has plenty to do with maintaining healthy skin. So, if you want to look five or ten years younger than you actually are, it’s all about how you look after your skin and health. There are some key ways you can ensure that your skin continues to remain young and youthful, most of which involve natural remedies and common sense ideas that can be easily incorporated into your lifestyle. Stress is not just bad for your immunity and mental well-being, but also for your skin health. For this reason, if you want to continue looking younger, you have to say away from anything that could stress you. For instance, you should avoid people who always make you feel mentally drained. You should also avoid carrying around psychological burdens that put your mental well-being at risk. Similarly, you should try to do things that help relieve stress, or improve your capacity to deal with stressful conditions. These include yoga and meditation. You can also share your problems with friends so that you do not carry the strain of such burdens yourself. Generally, the less you worry, the better your skin will be. Stress has been linked to psoriasis and eczema flare ups all over the body. Additionally, stress can cause the skin to wrinkle, and even dry up, which obviously take away its youthful glow. On a daily basis, the skin suffers a lot of damage through exposure to the chemicals in our environments, the sun, and other things. Also, repairs to this kind of damage happen when we are asleep. That is why you should always get enough sleep if you want your skin to remain healthy and youthful. Basically, you should try to get around 8 hours of sleep every day. While getting enough sleep is important, you have to ensure that you get quality sleep as well. Low quality sleep, even when it lasts for several hours, counts as sleep deprivation; a condition which results in the production of cortisol, a stress hormone that increases the chances of suffering from inflammatory skin conditions such as acne. Lack of adequate sleep has also been linked to a drier skin. The magical glow that is often also noticed in youthful skins is lost with the lack of enough sleep, since the skin’s pH balance is disrupted when there is inadequate sleep. So, if you want to get a youthful skin, ensure that you get about 7 to 8 hours of sleep, anything less is going to get in the way of you having the youthful skin you want. When you eat more vitamins C, you will suffer fewer wrinkles. In fact, research has proved that eating food with a lot of Vitamin C can result in a skin that has up to 8 times as more collagen. Also called ascorbic acid, vitamin C has a very vital role in the production of collagen. In fact, even when applied topically, the vitamin can still promote skin health and enhance its youthfulness. In addition to stalling the skin aging process, vitamin C has also been shown to repair some of the damage that ultraviolet light causes to the skin, such as after excessive exposure to the sun. Besides promoting the production of collagen, vitamin C is also a strong antioxidant that helps to counter the worst effects free radicals cause on the skin. Free radicals can cause a lot of damage to the skin, bringing about its premature aging. However, vitamins C can help out with this regard. Additionally, vitamin C is also good for the skin in that it helps remove dark spots from the skin. This ability comes from its antioxidant properties. So, make sure that Vitamin C is part of your diet if you want to have a healthier skin. The skin readily absorbs the chemicals that come into contact with it. For this reason, you should always ensure that even the skin care products you use do not result in any harm to your skin. This is why you should stick to natural skin care products. To ensure that you achieve this goal, try to find out all the compounds present in a particular skin care product to ensure that they are completely safe. It isn’t as tricky as it sounds as there are plenty of companies that produce anti aging serums which are free from harmful chemicals. If you are interested in finding out more about these, you could take a look at eldivia, just one of the companies who pride themselves on these values. Today, there is a lot of products intended for topical use that come with toxic compounds that can do a lot of damage to the skin and promote its aging process. Some of these chemicals include lead, parabens, formaldehyde and so forth. Products that contain perfumes also tend to have chemicals that are not particularly friendly to the skin. So, although these chemicals make the products last longer without going bad, they care usually quite harmful to the skin and are best avoided. Therefore, as you shop for skin care products, go for options that contain natural and healthy products with documented skin health benefits. Having skin reigmens set in place will really help your skin get used to using a product multiple times and reduce the chance of getting acne. 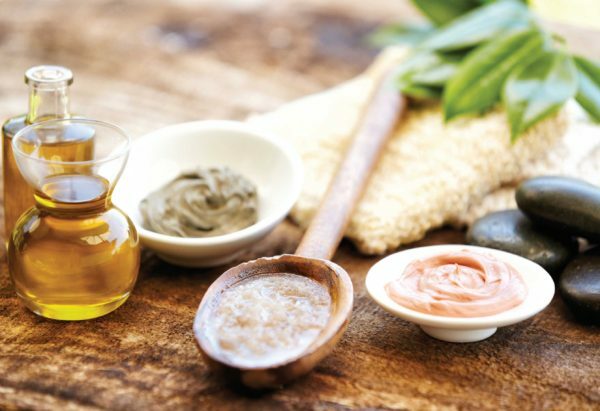 Some of the natural products that have a positive impact on the skin include coconut oil, aloe vera, Argan oil, avocado, cbd skin care products and so forth. These products not only ensure that your skin looks better. They also make it look more youthful. Whether you like it or not, toxins tend to build up in the body over time. These toxins affect your body negatively, including the skin which can look older as it breaks down more readily. Fortunately, there is something you can do about this since you can do a body cleanse that can rid you of these harmful compounds. So, you should try something like a juice cleanses every once in a while. A cleanse can get rid of the toxins that are building up in your body so that you are much healthier. When in the skin, these toxins cause the skin to break down at a faster rate. Therefore, when you do a cleanse that helps get rid of them, you can improve the health of your skin considerably. Fortunately, it does not take a lot of effort to cleanse your skin. Simply having a glass of water with squeezed lemon when you wake up, can cleanse your body and make it much healthier. Otherwise, cleaning the skin helps remove toxins, impurities, excess oil, and even dead skin cells. As a result, you can have a healthier and more vibrant and youthful skin after a proper cleansing procedure. Sugar has gotten a lot of attention lately for its harmful effects on health. The harm this common household and industrial product has on the human body extend even to the skin. Sugar has been shown to promote the breakdown of collagen and elastin, which are essential for skin health. Inadequate amounts of collagen and elastin in the skin make it look aged. Sugar affects insulin levels to rise, which promotes inflammatory effects throughout the body. These inflammations cause the body’s hormonal state to change in a way that makes the skin sag and experience wrinkles. When sugar is digested, it attaches itself to the collagen permanently in a process called glycation. This process promotes skin aging and even promotes the occurrence of skin conditions like acne and rosacea. In extreme cases, sugar consumption results in insulin resistance, which causes hair growth, and dark patches on the skin. Generally, you should not avoid sugar in its raw form, but also through foods that contain large quantities of these harmful substances. These include soda, white bread and other processed foods popular for the incredible quantities of sugar within them. This means you should find healthy sources of sugar to avoid the negative effects of taking too much of this product, such as complex carbohydrates and whole grains. The skin gets a lot of assault from inflammatory substances that often increase its rate of aging and cause the formation of wrinkles. Therefore, eating foods that contain antioxidants is a good way to ensure that your skin stays healthy. The antioxidants reduce skin damage and inflammation and wrinkle formation. Some great sources of antioxidants include spinach, pomegranates, raspberries and even blueberries. Antioxidants limit the production of free radicals, which can cause a lot of damage to the skin. In fact, these antioxidants can even reverse some signs of aging. Fortunately, the foods rich in antioxidants often have other healthy nutrients that have a lot of benefits to the skin including vitamins and minerals. Antioxidants are also good at getting rid of stretch marks, which may come about with age, exercise, pregnancy and other issues. In fact, this guide can help reduce stretch marks in a natural and effective manner. Antioxidants are also effective at preventing chronic illnesses, many of which have a negative effect on the skin. Therefore, you should purpose to have foods rich in antioxidants if you want to have a healthier skin. In addition to eating foods rich in antioxidants, you can also use skin care products that are rich in these substances. Just be sure to use organic products that do not have artificial additives that might actually cause damage to the skin. The body will always show the effects of lack of enough water, especially the skin. When you do not take enough water, the skin looks dull, flaky, dry and saggy. Over time, these attributes will result in the skin having an aged look that you could easily avoid by taking enough water. Therefore, drinking water is a good way to make the skin glow and look younger. Besides, water promotes the elimination of toxins from the skin. These toxins have been shown to increase the rate at which the skin ages. Additionally, water can help alleviate some skin conditions, such as acne. Water is also good at maintaining a healthy pH balance, which is very important for a healthier skin. 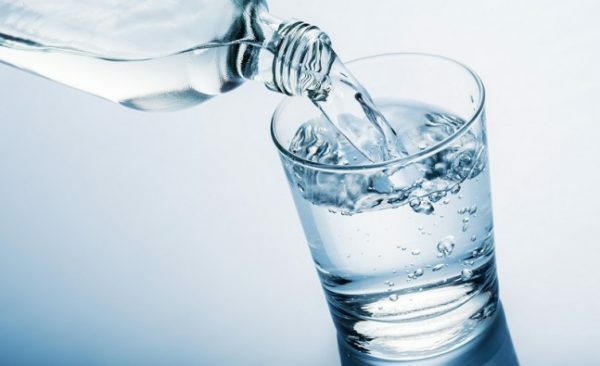 Although it is recommended that you take about 8 glasses of water a day for a healthy skin, there are other ways to meet your recommended water intake needs. For instance, you can eat watermelons, cucumbers, tomatoes. Additionally, drinking enough water is the best way to keep your skin moisturized. It is a better option than using moisturizers; although these are important as well. When the skin has enough moisture, it looks more youthful as it maintains its elasticity better. Regular exercise can do your physical health a lot of good; and it has immense benefits for your skin as well. When you work out regularly, the circulation of blood, and therefore oxygen, improves your skin. This improves its supply of the nutrients needed to stay healthy and youthful. Additionally, the increased flow of blood to the skin ensures that any toxins that might affect its healthy are eliminated so that it maintains its youthful look. Some exercises can even tone the skin. 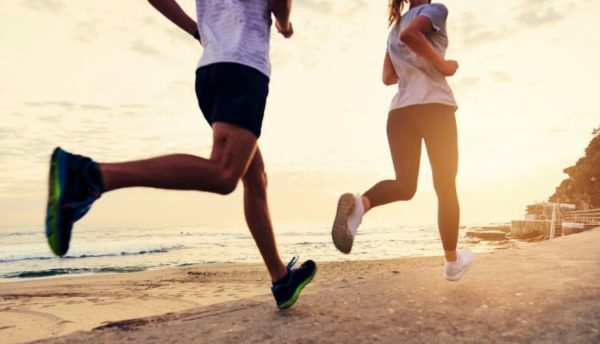 In fact, exercise is such an effective way to prevent skin aging that it has been proven to reverse the skin aging process in people where the skin aging process has already begun to set in. That is because exercise has the ability to change skin cell chemistry and result in a healthier skin free of wrinkles and sagging. Exercise also causes sweating, which opens up the pores on the skin. When this happens, the body is freed from any toxins that would result in acne and blemishes that often accelerate the skin aging process. However, over exercising can have an opposite effect on skin health and so does excessive sweating. Sure, you need some sunlight to have a healthier and more youthful skin, as it stimulates the production of vitamin D in the skin. But past this benefit, the sun will only cause damage to your skin. The sun affects the skin pigmentation, and it can also burn the skin, affecting its elasticity and hence causing premature aging. Overexposure to the sun can also cause skin cancer. You can have a beautiful and youthful skin simply by following the above simple tips. Mostly, they involve diet and exercise, and a few adjustments to the way you live your life. Generally speaking, the secret to having a youthful skin lies in having enough collagen tissue and elastin. The recommended tips above should help out in this regard so that you have a healthier and younger skin. •Seventy-five percent of melanoma occurs on areas of the body that are seldom or never exposed to sun. •There has also been an 8,300% increase in vitamin D deficiency in children since 2000, which is likely due to insufficient time playing outdoors and/or sunscreen use. More information and references: sunlightinstitute.org. Or, read Dr. Marc Sorenson’s new book, Embrace the Sun, available at Amazon. I’m glad you mention hormones like cortisol and its impact on the skin! Hormonal factors are particularly linked to acne around the mouth for women. Sometimes the acne is connected to conditions like Polycystic Ovary Syndrome and Congenital Adrenal Hyperplasia.